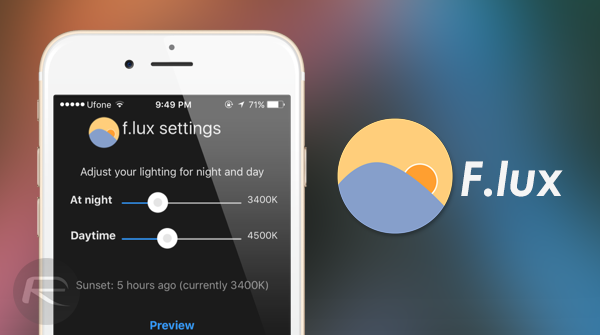 Apple’s introduction of Night Shift in the recently released iOS 9.3 beta may be a great feature addition for iPhone and iPad owners, but it holds the potential to kill the popular jailbreak app, f.lux. After initially making a name for itself in the world of jailbreaking, the app was recently rejected by Apple from being approved for iOS App Store. What’s more, Apple even reached out to the makers of the app asking them to shut down the sideloadable iOS version, and the release of Night Shift makes it abundantly clear why. After taking a few days to take stock, the f.lux team has now broken its silence and spoken out about Apple’s Night Shift mode. There may be slight feature differences between what f.lux is capable of and the route that Apple has taken in implementing Night Shift. However, it’s hard to argue against the fact that Apple has essentially taken a very popular color-temperature solution, mimicked the functionality as it sees fit, and built it directly into the iOS platform. Some will argue against the morality of this inclusion, especially considering that Apple refuses to allow f.lux to exist in the iOS ecosystem. As we continue to innovate and improve upon our ideas, we remain hopeful that we will have the opportunity to offer our best, new work to everyone who wants it. We’ve learned that people’s lives, biology, and everyday routines are incredibly, wonderfully different, and these differences must be embraced. There is not one right answer for everyone, so we are committed to making software that’s ever more adaptive and responsive to each individual’s needs. It seems highly unlikely that Apple will respond to this request in a positive manner. The Cupertino-based outfit has been set in its ways when it comes to f.lux for a number of years now. The jailbreak history associated with the app won’t help that either. We’ll be sure to bring more about how this one pans out when it evolves. Apple… They should approve the app and give users the options. Instead of just stealing the idea and leave the devs like this. Tim Cook is a money-grubbing jewish sodomite contrasting starkly with Steve Jobs. Apple should have just paid them off. It’s the decent thing to do. f:lux has existed for many years on Mac so it can easily be demonstrated that it is novel and established. Going with an iPhone 6s Plus from Android has been one of the most regretful decisions I’ve ever made and every time I read stuff like this makes me want to go to another platform and stop supporting Apple once and for all. I think I’m going to go ahead and keep using F.lux I am right now. But I mean. When a jailbreak comes out for the other iOS versions I feel like I’ll use F.lux anyways. Just to always keep it glorified. I’ll never stop praising F.lux. Your point would have been more convincing had you omitted the first sentence. Considering 90% of iOS users are not jailbroken I see nothing wrong with Apple improving their lot. The jailbreak community exists to provide solutions to iOS shortcomings just as Apple exists to create compelling products. If them pinching ideas is a problem for you, Android awaits. The day that Apple finally releases an unjailbreakable version of iOS is the day that innovation dies at Apple. Half to three quarters of all “new” features are things that jailbroke users have had for years. I think they need to fix the obvious issues. Try putting an iPad pro into zoomed mode then try to add a video clip to iMovie. Crashes every time. I think it’s the case already that Apple tries to release “unjailbreakable” updates to their iOS year in and year out and fail. Here we go again! Look, this developer KNEW what they were doing was not allowed. Apple does not allow direct access to a number of the hardware API’s. Apple takes security VERY seriously and I applaud them for that and for seeing that users wanted a feature that otherwise could compromise their devices so they added it themselves. So now what’s the next Apple controversy we can publish? Maybe you should read articles that explain why and what this was all about rather than one sided articles to get clicks and you’ll feel better about your decision. About two years ago, I used this feature on my computer. Apple copied the idea from F.lux. So I think Apple should allow F.lux on iOs. I really appreciate this initiative of Apple. But honestly, I don’t like this feature. I think it is better to use a blue like protector like “Ocushield” rather than using this feature.Because a blue light protector can protect us not only at the time of night but also 24*7.
thank you so much! 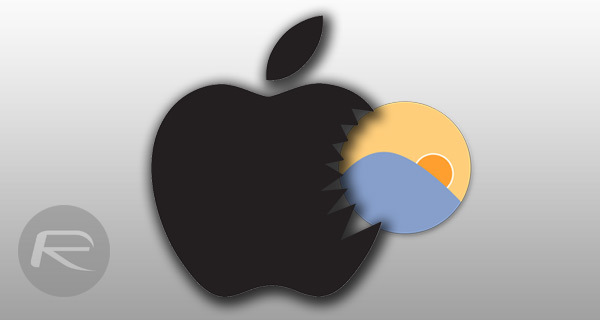 many people don’t understand why Apple kicked flux. I think Apple is being a great sport. I am sure they felt kind of bad kicking such a great technology of iOS because they didn’t follow the rules. So they decided to do it themselves. They are doing us users a favor. As for flux, I wish they had followed the rules. Which is why I believe Apple felt bad and decided to come up with something themselves. We all know Apple is very picky about how much access apps have to their devices. They always err on the side of safety.